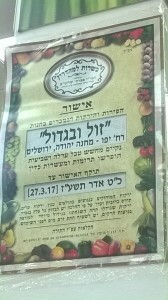 Baruch Hashem there is now a proper teudat hechsher in place for the supermarket’s produce section. We are referring to the new supmarket that opened on Yaffo Street at Machane Yehuda, across the Street from Beit Knesset Zoharei Chama (Sundial Shul). 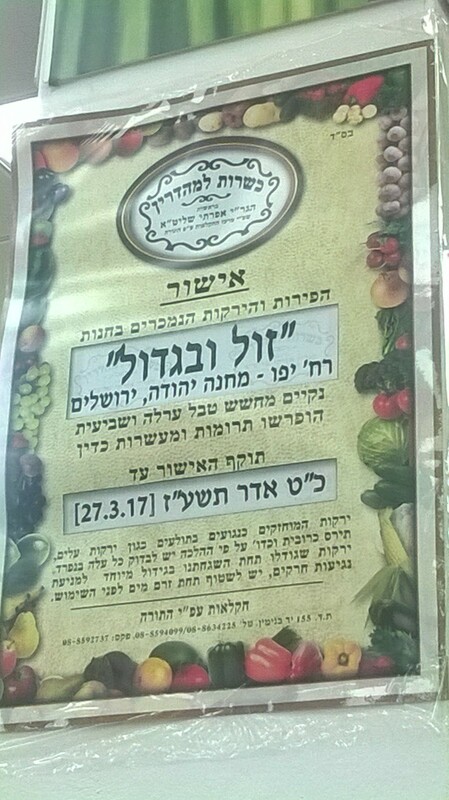 The hashgacha is that of Rabbi Yosef Efrati. As is usually the case, the kashrus only covers trumos, maasros, orla, and shmitah. Items that pose concerns of insect infestation must be treated accordingly. Posted on December 19, 2016 by JKN Israel. This entry was posted in JKN Alerts. Bookmark the permalink.